CM/ECF is a comprehensive case management system that allows the Court to maintain electronic case files and offer electronic filing over the Internet. The Administrative Office of the U.S. Courts began development of the Case Management/Electronic Case Filing (CM/ECF) system in January 1996.  The United States Court of Appeals for Veterans Claims implemented the pilot program for the Court's e-filing system on November 27, 2007. Full implementation of CM/ECF began on October 14, 2008. Is CM/ECF mandatory for CAVC? Yes. Use of the CM/ECF system for filing is, as of October 14, 2008, mandatory for all represented parties. What equipment and software will I need for filing in CM/ECF? You will need a PC with Windows 2000 or more recent, a good internet connection, a web browser (Internet Explorer 6 or higher), PDF converter software, and Java version 6 or higher. If you do not have Java on your computer (or if you aren't sure if you do) go to http://www.java.com. Please consult with your IT professional if you have any questions. I logged in but can't get passed the warning page. Make sure that you have Java installed on your computer. Go to http://www.java.com to install or update it. How do I create a text searchable PDF? Use a PDF converter software when converting your Microsoft Word or other word processing document to PDF. You may use software such as Adobe Acrobat, CutePDF and many others. Also, most scanners have an OCR (optical character recognition) feature built in so you can scan a document into a text-searchable PDF. How do I register to become a CM/ECF User? Complete the online training for e-filing and then email a completed E-Filing Registration Form for Representatives (Form E-1) to the Court. Attorneys participating in the Veterans Consortium Pro Bono Program should also email their notice of appearance and retainer agreement along with the registration form. See the Court's of Rules of Practice and Procedure, E-Rules 2(b) and 3. Will there be any additional fees or charges to register for or to use CM/ECF? No. There are no additional fees to register for or use CM/ECF. I already e-file in other courts. Do I still have to register at CAVC? Yes. Your CM/ECF account is an authorization to e-file specifically to this Court. May I be exempt from e-filing? You may fill out the E-Filing Exemption Form (Form E-2) and send it to the Clerk. How long does it take to register for CM/ECF? The Court will email your CM/ECF username and password within 2 days if all necessary documents have been received (i.e. bar application, notice of appearance, fee/retainer agreement). My CM/ECF account is locked. How do I unlock it? Call or email the E-Filing Desk at 202-418-FILE (3453) or efiling@uscourts.cavc.gov. Can I receive email notices at multiple addresses? Yes. Send an email to efiling@uscourts.cavc.gov to request receipt of notices to additional email addresses. Instead of individual emails for every case filings, can I receive one email with a listing of all pleadings filed in my case for today (daily summary) instead? Yes. Log in to CM/ECF and click on Utilities - Update My Account. Select Notice of Docket Activity Frequency = Daily Summary. Please note that daily summary emails are sent at 2:15 a.m. Eastern Standard time (EST). Send a written notice to the Court by email, fax, or postal mail of any change in your contact information. See Rules 46(a)(4) and 46.1. Email: efiling@uscourts.cavc.gov, Fax: 202-501-5848, mail: USCAVC, 625 Indiana Avenue, NW, Suite 900, Washington, D.C. 20004-2950. See Rules 46(a)(4) and 46.1.
Who do I contact regarding attorney admissions to the Court? Call the Clerk's Office at 202-501-5980. Are Notices of Appeal and Petitions filed electronically through CM/ECF? No. Initial filing documents such as notices of appeal and petitions are submitted by email, fax or postal mail. Email: esubmission@uscourts.cavc.gov, Fax: 202-501-5848, Mail: USCAVC, 625 Indiana Avenue, NW, Suite 900, Washington, D.C. 20004-2950. See E-Rule 2(c). How do I view my case docket and pleadings? Click the Docket Search link. Enter your case number in the first box, click the Search button, then click on the case number. Please note that certain documents will be locked because they contain personal identifiers. See the question below. How do I view locked documents? You must log in to CM/ECF and be a party or representative in the case in order to view locked documents. Self-represented appellants and petitioners receive all pleadings filed at the Court by postal mail including the locked documents. See E-Rule 4. I'm trying to view a locked document in a case that I represent. I logged in and clicked on the document but it still says, "You do not have permission to view this document." What can I do? There is a known problem using Internet Explorer with CM/ECF. Users may need to disable the next-generation Java Plug-in option from the Java Control Panel (Advanced tab) for the application to function correctly. Using Firefox will avoid the problem altogether. Call the E-Filing Desk at 202-418-FILE (3453) if you need further assistance. How do I electronically sign my pleading? The proper format of the electronic signature is "/s/ Attorney's Typed Name". It replaces the hand-written signature on the pleading. See E-Rules 1(a)(2) and 10(a). Do I need to send paper copies of a document filed through CM/ECF? Parties who are not registered CM/ECF Users or CM/ECF-exempt representatives must be served conventionally (in accordance with Rules 25(b) and (c)) with a copy of any document filed electronically. The Secretary is always considered a CM/ECF User. See E-Rules 2(d) and 6. Do I need to put a Certificate of Service on documents that I'm filing? If the other party is a self-represented appellant or petitioner or the representative is exempt from e-filing, then a certificate of service is required. The Court's electronically-generated Notice of Docket Activity constitutes service of the filed document on all CM/ECF Users. See E-Rules 3(d) and 6. A Notice of Docket Activity is an electronic notification generated by the CM/ECF system that is transmitted by email to all parties and representatives for that case. Notices of Docket Activity will be generated when a party or attorney e-files a document using CM/ECF or when the Court issues an order or takes other public actions in a case. The Notice of Docket Activity constitutes "notice" and "service" to all CM/ECF Users who have registered for e-filing participation in a particular case. See E-Rule 1(a)(6). Why did I receive a second Notice of Docket Activity for my filing? The Clerk's Office reviews all attorney filings. If the Deputy Clerk modifies the docket text for the filing, then he or she will send a new Notice of Docket Activity. How do I choose the correct event code for my filing? There is a list of docketing event codes and categories posted on the Court's website. If you are unsure of which code to use, please call or email the E-Filing Desk at 202-418-FILE (3453) or efiling@uscourts.cavc.gov. I made a mistake in e-filing a document. What do I do? CM/ECF Users should look at the docket report before and after e-filing. After e-filing a pleading, check to see that it was filed in the correct case, and open the pleading to make sure it is the correct document. If you make a mistake, just e-file the correct pleading in the right case. A courtesy call or email to the Court and/or other party is appreciated, but not necessary. Court personnel will update the docket entry to " Received: ... (docketed in error)" or a similar text. The docket entry will not be deleted to keep a reference that something was submitted in that case. The PDF document, however, might be removed if it contains information regarding another veteran. What if I receive a Notice of Docket Activity and it has been filed in the wrong case or the wrong document was attached? If the Court issued an order in the wrong case, please contact the Court for an immediate correction. If the notice was for a pleading incorrectly e-filed by an attorney, you may ignore that notice. Also, look at the Docket Report to see what is happening in the case. Please note that Court personnel might not have had a chance to review that entry and update the docket text as Received." I need to file a pleading but the case is closed. How do I file my pleading? Email the PDF document to efiling@uscourts.cavc.gov. What is the cut off time to e-file a pleading for the current date? Pleadings e-filed by 11:59 p.m. EST will have that day's filing date. If you start the e-filing process but do not finish until after 12 a.m. EST, then your pleading may be untimely. I sent my Notice of Appeal or Petition a while ago and have not received anything from the Court. How long should I wait before I contact the Court to confirm receipt of my documents? If you have not received a notice of docketing within 10 days from your submission, then please call or email the E-Filing Desk at 202-418-FILE (3453) or efiling@uscourts.cavc.gov. I am not the representative in case, but I want to receive notifications for it. How can I receive those notices? Log in to CM/ECF and click on Utilities - Notice for Cases of Interest. Enter the case number that you want to track and click Search & Add. How do I e-file my motion to become an intervenor or amicus to a case? Log in to CM/ECF and open the Docketing screen. Select Event Category "Party-Attorney" and select Event "CAVC Motion for Leave to Appear as Amicus Curiae" or "CAVC Motion to Intervene." Complete e-filing your motion. Then click on Utilities - Notices for Cases of Interest to receive notifications for the case. Wait until the Court grants the motion for leave before entering your notice of appearance.